The museum will showcase the personal stories and literary works of writers from Mark Twain to Doctor Seuss. It is set to open in early 2017. 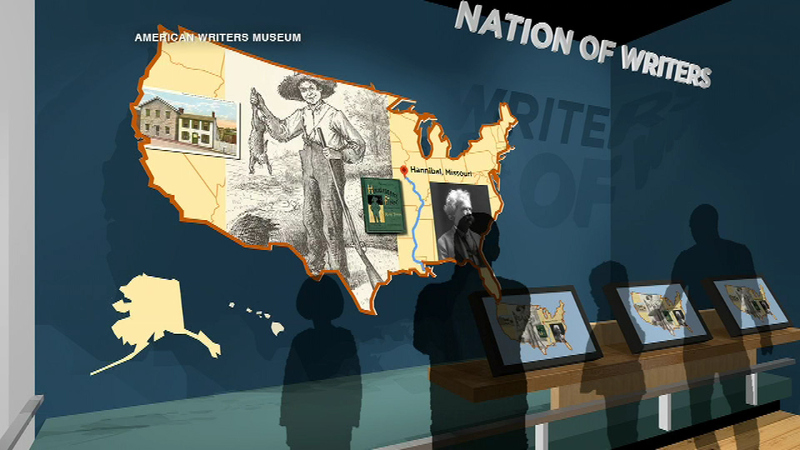 CHICAGO (WLS) -- Chicago will soon be home to the first museum in the U.S. that's dedicated to American authors and their books. The American Writers Museum leased a space at 180 N. Michigan Avenue. Renderings show what it will look like inside.